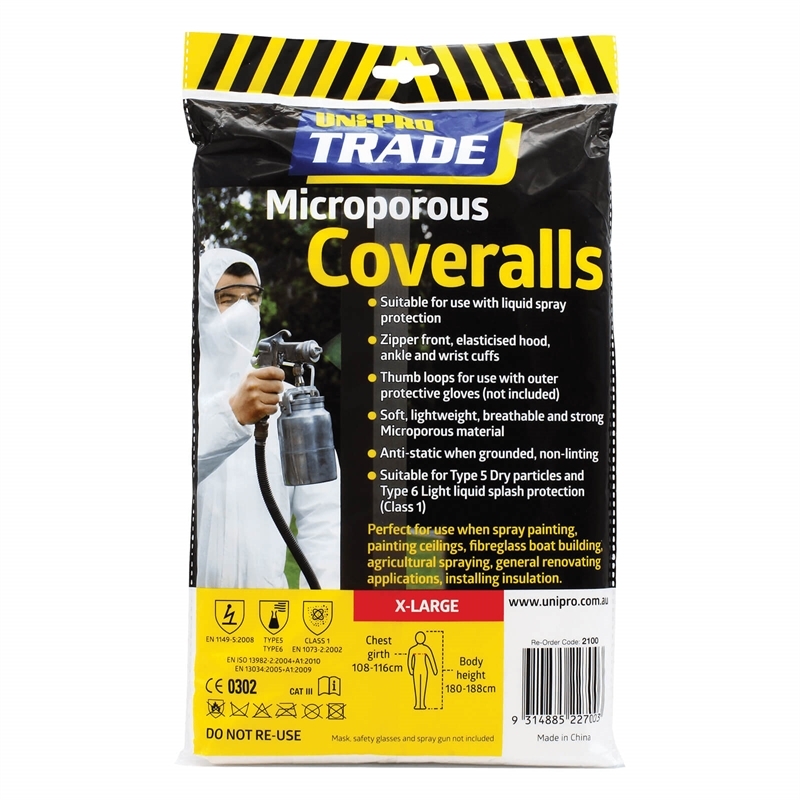 Trade quality microporous coveralls is the perfect choice for protection against spatter and overspray when spray-painting, painting ceilings, fibreglass boat building, agricultural spraying, general renovating application and installing insulation. 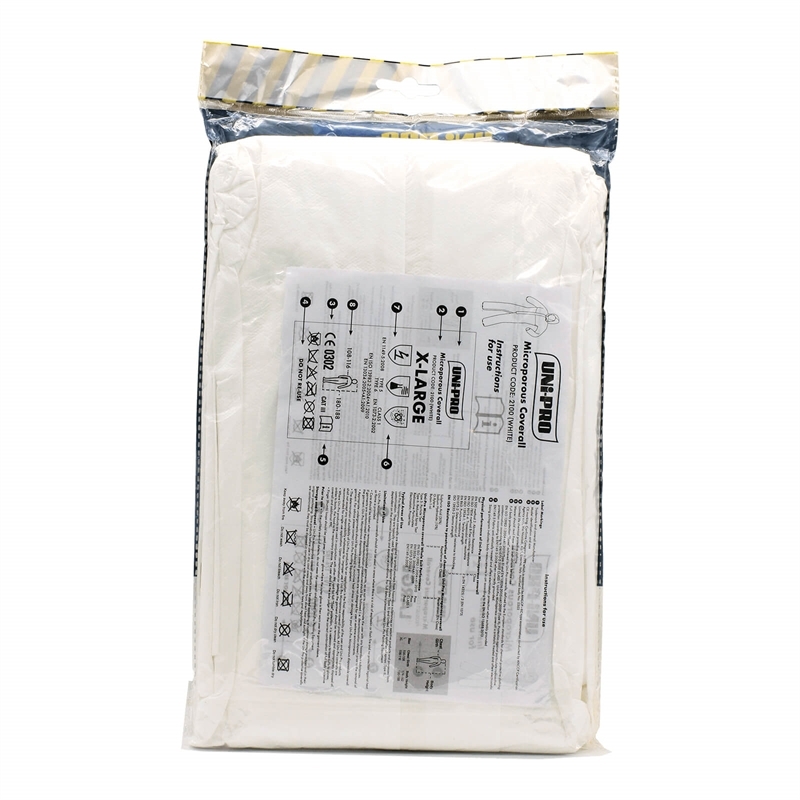 Large: Chest girth: 100-108cm / Body height: 174-182cm. XL: Chest girth: 108-116cm / Body height: 180-188cm. 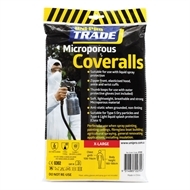 Soft, lightweight, breathable and strong microporous material. Thumb loops for use with outer protective gloves (not included). Zipper front elasticised hood, ankle and wrist cuffs. 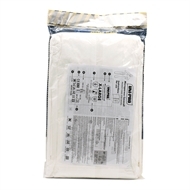 Suitable for Type 5 dry particles and Type 6 light liquid splash protection (Class 1).